Being an Acura sedan, drivers have certain expectations of the 2018 Acura ILX. The 2018 Acura ILX performance features ensure that this car turns heads from Port Washington to Manhasset. See how the ILX sedan’s performance breaks down below before experiencing it in person at Rallye Acura in Roslyn. 2.4L Four-Cylinder: This standard powertrain kicks out 201 hp, and drivers can enjoy fuel economies as high as 35 mpg on the highway and 25 mpg in the city (for 29 mpg combined)*. 8-Speed Dual-Clutch Transmission: The first of its kind, Acura’s 8-speed DCT with torque converter is standard on each ILX for smooth shifting and quick responses – keep the manual control you love with the paddle shifters or let the ILX shift for you for the best of both worlds. Now that you know what’s under the hood, you should know about that the aerodynamically sculpted ILX offers the A-SPEC Package as well, which has a set of 18-inch alloy wheels, side sills, and a rear spoiler to give it a distinct look and feel. A red instrument panel, aluminum pedals, and perforated suede seating elements bring the feel of the track right to the cabin. Starting at $28,100**, the new Acura ILX is an excellent deal for any driver. We can give you the ILX engine specs, detail what elevates a DCT above a standard automatic, and outline the iconic A-SPEC package, but nothing will compare to getting behind the wheel. 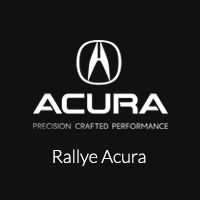 Contact Rallye Acura today to schedule your test drive or drop by our showroom at 1750 Northern Blvd in Roslyn today – we can’t wait to put you behind the wheel. **Prices shown are Acura suggested retail prices only and do not include taxes, license or destination and handling charge. Destination & Handling charge is $995 for sedans and SUVs. Acura vehicle accessory costs, labor and installation vary. Dealers set their own prices. Please consult your selected dealer.